It is sometimes easier to discuss your requirements, so please do not hesitate to call us on 01784 455152 and speak with one of our Sales or Technical team. At Entec we design, specify, manufacture, supply and fit entrance systems incorporating both automatic and manual doors to the Local Authority, Public, Governmental, Retail, Commercial, Health and Industrial market segments. Complete entrance systems including all frame work, glass and installation. Manual Pedestrian Doors of all types. Service and Maintenance of Automatic Doors to EN BS 16005: 2012 and BS 7036 (96) Parts 1 to 5. Service and Maintenance Contracts to EN BS 16005: 2012 and BS 7036 (96) Parts 1 to 5. We provide a full site survey and quotation-specification service including CAD drawings where required. We specialise in automating entrances for less abled users and helping our clients to gain compliance with the Equalities Act (DDA). Entec is an installer and distributor for Entrematic™ and Record™ door automation products and accessories. We also offer a full range of service and maintenance contracts covering both manual and automatic doors. Entec are members of the Automatic Door Suppliers Association™ (ADSA) www.adsa.org.uk and actively support this organisation by sitting on the Executive Council since 2014. All engineers are carry the ADSA™ Authorised Technicians Card, which allows them to carry out installations and servicing works to EN BS 16055:2012. 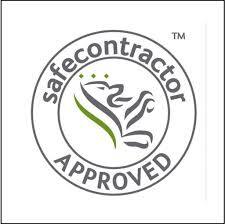 We have a full and extensive Health & Safety provision which can be issued on request. We retain the services of Alcumus PSM Ltd for to act as our Health & Safety Advisors.